RYE, NY – Think you know Ireland? Whether you’ve always wanted to visit – or even if you’ve been before – you’ll discover facets of the Emerald Isle that you never knew existed on Luxury Gold’s exceptional new ‘Ultimate Ireland’ itinerary. This new 12-day luxury escorted journey introduces you to local people who show you the natural wonders, fascinating history, and culinary heritage of this fabled country through storytelling, hands-on demonstrations and immersive experiences. You meet accomplished dancers, distinguished authors, passionate naturalists as you make your way from energetic Belfast to lovely Limerick, and from the rugged Giant’s Causeway to the majestic Ashford Castle. Enjoy an exclusive VIP meeting with esteemed author and food critic Trevor White during a rare, private after-hours visit to The Little Museum of Dublin, which he founded, and receive a signed copy of his latest book. 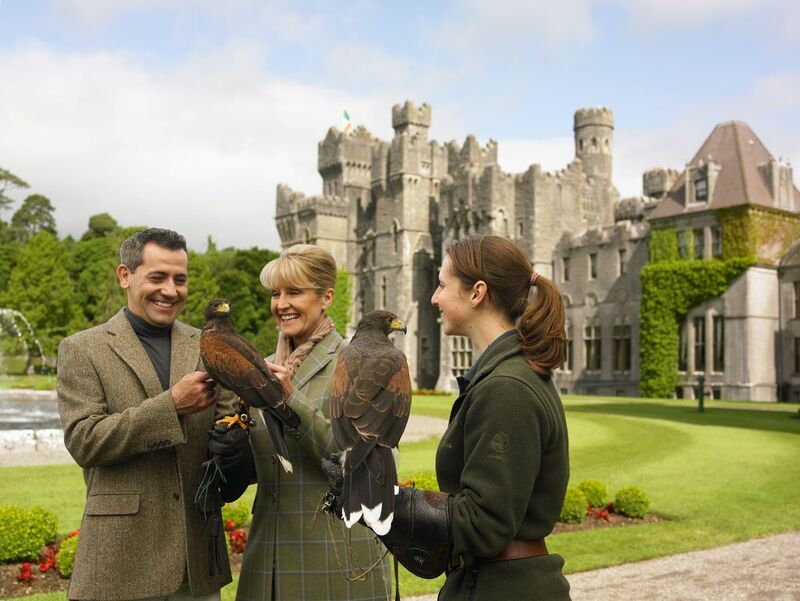 Stay for two nights at the magnificent five-star Ashford Castle, and choose between an elegant afternoon tea service or a unique falconry experience at the oldest established falconry school in Ireland. Enjoy an exceptional dining experience at the Michelin-starred L’Ecrivain restaurant in Dublin, renowned for its flavorful classic French cuisine. Visit the iconic Giant’s Causeway on a private tour with a wildlife ranger, and learn more about this magnificent natural phenomenon. Discover the history of Londonderry with a Local Expert who just happens to be one of Northern Ireland’s best storytellers. Explore the Guinness Storehouse before it opens to the public, and take a private lesson on how to pull the perfect pint. Take a jaunting carriage ride through scenic Killarney National Park and drink in stunning views of its sweeping mountains and lush lakes. Enjoy a truffle tasting at Kilkenny farmers market, where you can stock up on delectable local chocolate bars, fudge, brownies and cakes. As with all Luxury Gold journeys, throughout this trip guests move from city to city on luxury coaches with extra legroom, stay in five-star hotels in stunning locations, and enjoy the personal attention of an expertly trained Traveling Concierge. Luxury Gold is offering a 10% Early Payment Discount when booking is paid in full by January 31, 2019. $200-$550 deposit must be paid within 3 days of booking with full payment made 45 days prior to departure. Guided by a Traveling Concierge, Luxury Gold guests enjoy exclusive VIP Experiences, savor exceptional dining and relax in luxury hotels on every curated itinerary. To find out more, visit www.luxurygoldvacations.com. For reservations, contact your travel agent, call 1-888-862-5952, or visit www.luxurygoldvacations.com. Luxury Gold is part of The Travel Corporation’s (TTC) family of brands, which has created The TreadRight Foundation, a not-for-profit working to help safeguard the planet, wildlife & people for generations to come. To date, TreadRight has supported over 50 sustainable tourism projects worldwide. The Foundation’s guiding principle is to encourage sustainable tourism through conservation, leadership and support for communities. The Foundation’s priorities are set by the Steering Committee. Past project partners include WWF, Conservation International, WildAid, The Travel Foundation and The National Trust in the UK. Current initiatives include supporting various women’s social enterprises, the recently announced Wildlife Conservation Society’s Big Cat fund, WE.org and working with inspiring nature advocates like Céline Cousteau, Costas Christ and Terri Irwin. To learn more about past and current work at TreadRight, visit treadright.org and follow us on Facebook , Instagram, and Twitter using hashtag #MakeTravelMatter.